Float Trips We guide float trips on the Colorado River from Pumphouse to State Bridge. Guide gratuity averages 25% and is not included in the guide fee. Not included in the trip cost are a valid Colorado fishing license, transportation to and from the fishing destination, and guide gratuity which is discretionary. The difference in price for private water depends upon the rod fee, or access fee, required by the land owner. This fee varies from place to place and is typically a good indicator of fish numbers and size. Availability does not last long on many of our private waters so it is best to plan your trip several weeks in advance. To book a trip or request more information, give us a call at (303) 674-4700. If you are looking for lodging close to the Blue Quill Angler, please click here to see a list. Part or all of our guided trips are conducted with Special use permits from the BLM, US Forest Service, Pike and San Isabel National Forests, DOW and Colorado State Parks. We are an equal opportunity service provider. The Blue Quill Angler Colorado fly fishing guide service operates out of our fly shop in Evergreen, Colorado – 25 minutes west of Denver. We are a professional guide service offering walk/wade guided fly fishing trips in Colorado to a multitude of public and private water destinations in the Rocky Mountain region of Colorado, as well as guided float trips on the Colorado River. What sets us apart from our competition is the expertise of our guide staff, along with our extensive permits that allow us to guide rivers others can’t. Our head guide is Pat Dorsey, who is known for being one of the best trout guides in the nation, stemming from his career guiding the South Platte river. We have Steve Parrott, who is also nationally known for being the expert in Czech Nymphing, and has popularized Euro Nymphing in the Colorado Rocky Mountains. 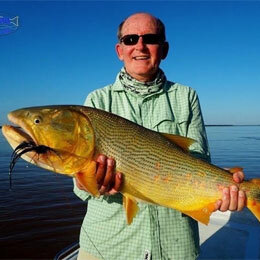 Leading our float trips is Bob Dye, who is known for being the top guide on the Colorado River. 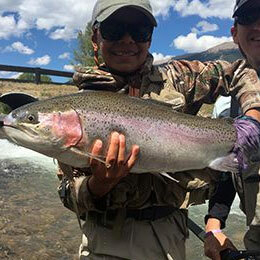 Guides like John Keefover, Kerry Caraghar, Chris Steinbeck, Peter Ryan, and Joe Shafer among others, have helped the Blue Quill Angler establish a reputation for being the best fly fishing guide service in Colorado. The amount of permits that we hold, and the variety of water they represent, allows our award winning guide staff to put you on the hottest action, no matter what time of year. 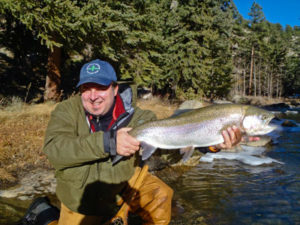 We have permits to guide in Pike National Forest, in the infamous wild trout, catch and release waters of ‘Cheesman Canyon’, which is without-a-doubt, one of the most beautiful canyons in Colorado with the fishing as technical as it gets. We also provide Colorado guided fly fishing trips in the Pike National Forest area of Deckers, where the majority of other guides services cannot legally access, and home to some of the best fishing in the area. Other areas of the South Platte River we guide on, include: Charlie Meyer’s State Wildlife Area (AKA the Dream Stream), Tomahawk State Wildlife area, and the Badger Basin area. We do Colorado guided fly fishing trips on the Blue River below Dillon, which can offer some incredible fly fishing, even in the dead of winter. Another one of our favorite rivers to fish is the Colorado river, from Parshall downstream to Pumphouse, Radium, and State Bridge. Our permits allow us to offer both walk/wade trips around the Parshall area, and float trips from Pumphouse down to Radium or State Bridge. The Williams Fork River, which joins the Colorado River in Parshall, offers some fantastic catch and release fishing, especially in the spring and fall. 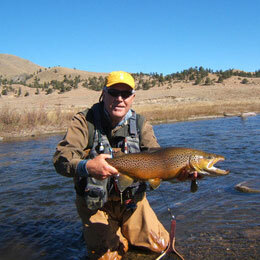 We also have the privilege to guide the Arkansas river, which can provide great dry fly fishing in the summer months. Inherently, guiding is much more than just catching fish. We put you on the best water, with low client-to-guide ratios and cover all aspects of this wonderful sport. Our hope is you will leave our guided fly fishing trips in Colorado with not only memories and pictures, but the knowledge to get out on your own and enjoy fly fishing!